I just recently started buying Lush products because they pride themselves in using only the freshiest and most natural ingredients. They also don’t test their products on animals and they only buy ingredients from companies who do not commission testing on animals. They test their products on human volunteers. Besides being an ethically responsible company, i honestly do love their products. Their Tree Tea Water Toner is amazing! I use it in the morning before I put my make up on and it brightens my skin. My skin is either oily or dry, depending on the day, so this toner reduces excess oil without drying my skin. Made of tea tree, juniper berry and grapefruit waters – this toner leaves my skin feeling refreshed and brighter while also balancing my skin tone. Its the perfect product to travel with. I don’t know about anyone else, but being on an airplane or in a car for a few hours makes my skin gross, so during and after my travels, i use this Tea Tree Water. The cherry on top is that… it’s not a fortune!!! Click the links above to shop!!! Love lush! 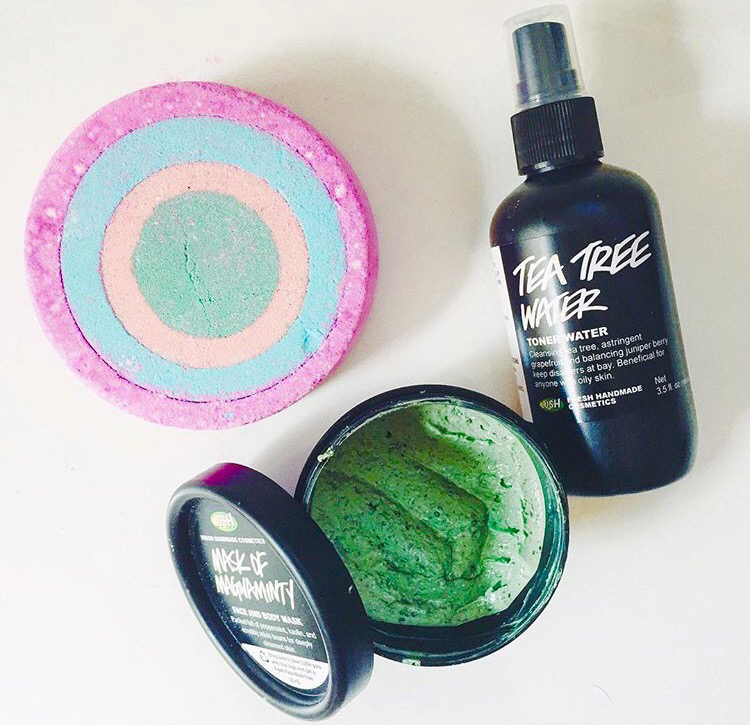 Just wrote about the Tea Tree Water myself! I will definitely let you know! !